All of the excitement of starting your lives together can sometimes make the most important "little people" in your life feel left out. Or maybe your children feel less important during this time in your lives. Sometimes a child feels like they are being re-placed, etc. What can you do? The Family Bonds Ceremony is your answer! The New Beginning Keepsake Necklace is for a girl (18" in length), and the New Beginning Keepsake Medallion is for the young man in your lives. The necklace has three heart charms, and the medallion has three hearts engraved- symbolizing, Bride, Groom & Children. These family blending gifts are the perfect way to include your children in the wedding ceremony & give them something to make them feel included and special for years to come. 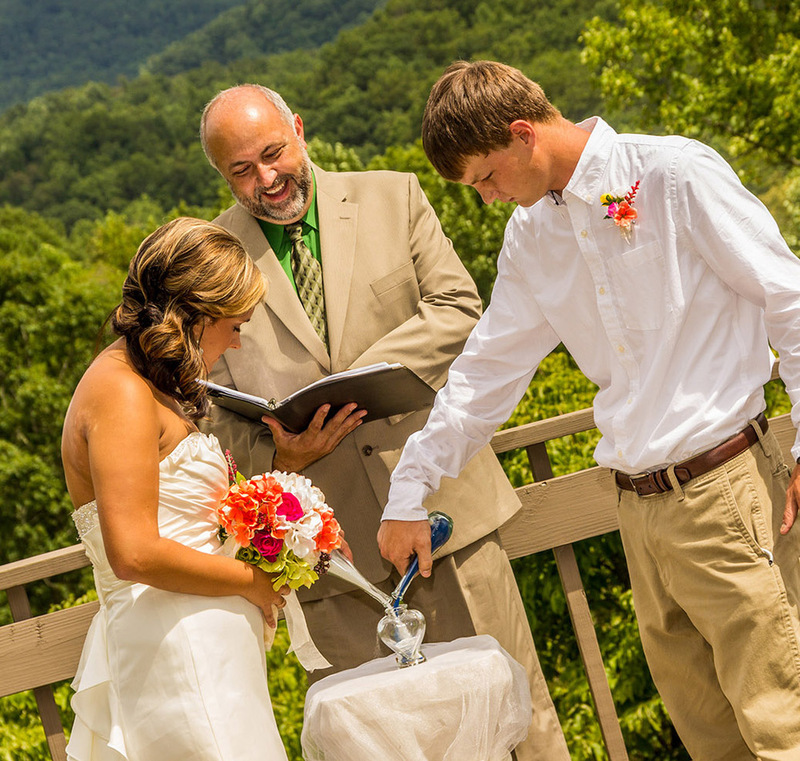 Celebrate the joining of your lives with a keepsake Unity Sands Ceremony. "Your two lives are now one..."
Make this memorable addition to the joining of your lives today.